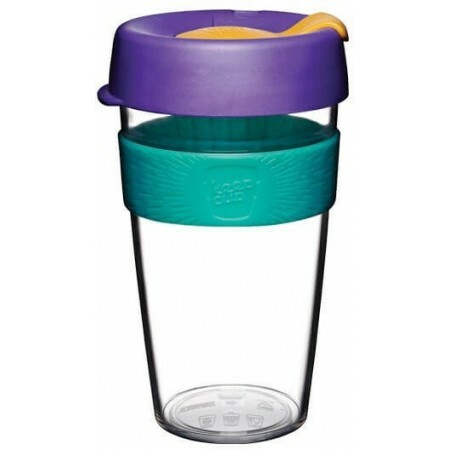 An original 16oz KeepCup made from a resilient, clear tritan that offers the clarity of glass with a lightweight feel. 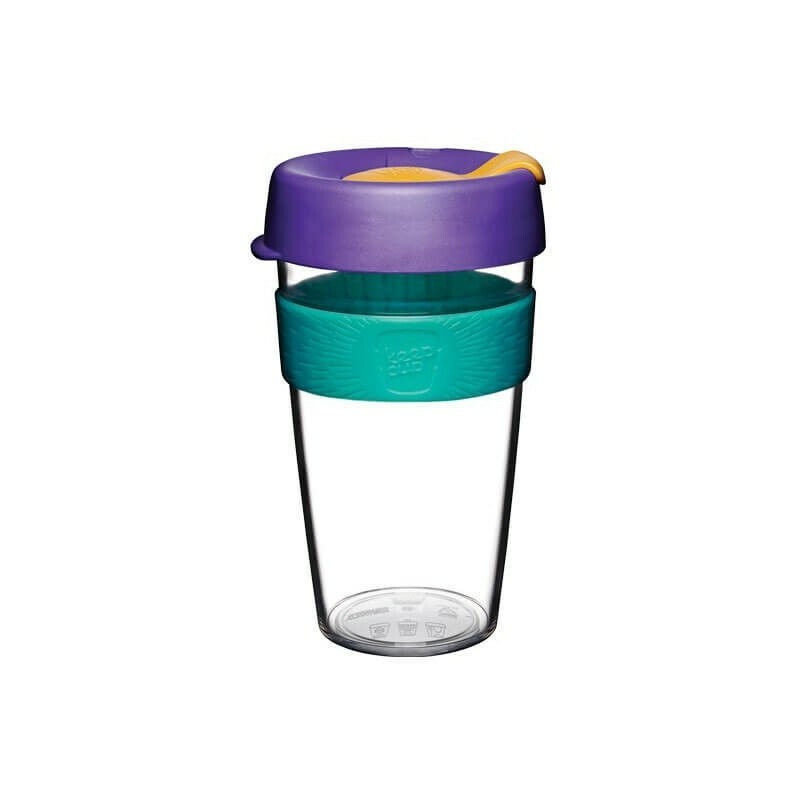 Lead the positive change from discard to reuse with KeepCup, an easy to use, clever alternative to disposable coffee cups. Save trees and reduce landfill, CO2 and energy output. This reusable coffee cup has a thermal non-slip band. 454ml. Reef colourway.